Can you feel the whisper of a suggestion of a change towards Autumn? And the softness of dusk which still has the caressing warmth of the day. At this time of change, indulge in the memories of Summer, collected and treasured in your memory box. But, there is still time to make new memories, even though Summer is slipping away, and soon it will be time for the wonderful indulgence of hot chocolate again. Some days now, especially in the evenings, we may feel we want to wear a cardigan to give a layer of comfort against the evening chill. Girls, a cardigan need not be a practical and mundane piece of clothing. There are some gorgeous cardigans, especially to go with your vintage look. Worn with a vintage dress, they can look so pretty. 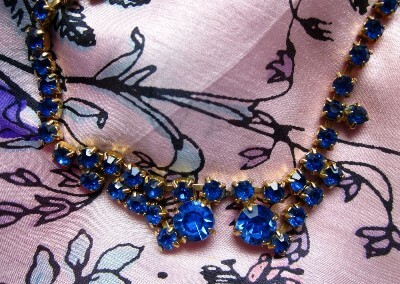 Cardigans come in such delicious shades, and to add extra charm, match the colour to a lovely vintage brooch. 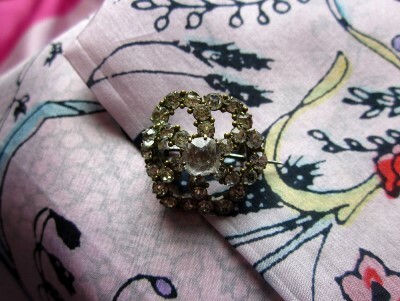 Also, there are lovely flower brooches which will add vintage style. Some vintage cardigans are fair isle or cable knit, but these would also look lovely with either a stylized vintage brooch or even a really sparkly brooch! 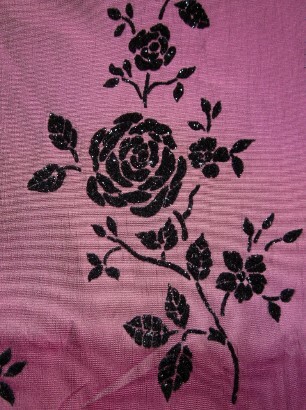 Even though cardigans can look so nice, often a pretty vintage shawl is perfect in the evening. There are lots of different types of shawls: lace shawls, crochet shawls, pretty sparkly shawls, and look out for vintage shawls. It is almost the last chance to wear pretty long Summer dresses with perhaps a vintage pearl necklace and your pretty shawl. Create your memory of wearing your pretty dress whilst dancing under the starry sky after having a delicious meal in the last light of the evening. Girls, even though some of your precious memories are safely tucked away in your memory box, hang your dress on a pretty coat hanger and display it in your bedroom so you can still see it, and it can evoke special memories. It's a little secret indulgence for you every time you see your dress. Just to even touch your dress can bring a smile to your face as you remember the last romantic nights of Summer. There are no comments for this blog post, if you would like to make a comment please use the form below.